Palmer Events Center is the place to be this weekend! I know this is going to be hard to believe, but when I was younger, I hated garage sales. 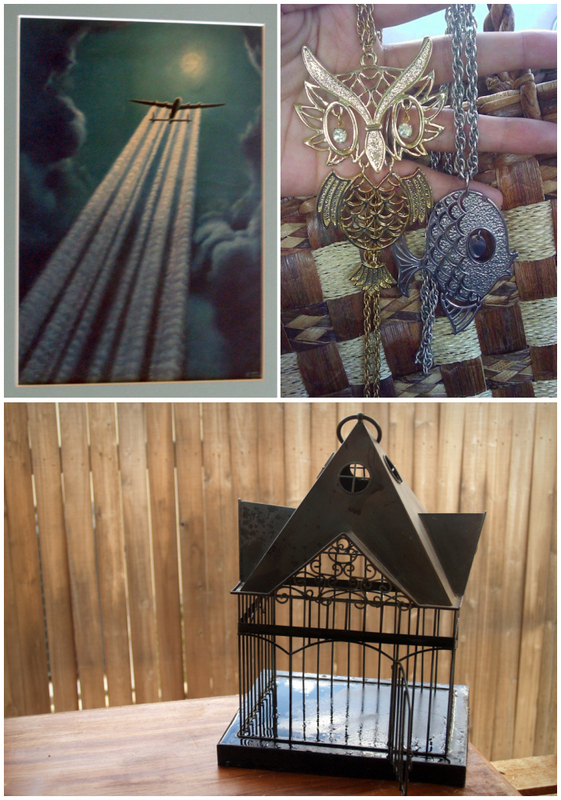 I was raised by my grandma and she loved them (she owned her own resale shop! ), but because I was from a really small town and was sort of a social wallflower, when I'd show up to school wearing what I knew to be someone else's clothing rejects, I was super self-conscious. Ah, awkward adolescents! Sometime around my senior year of high school, I stopped caring. My family wasn't rolling in the money, but I stopped viewing garage sales as some place I had to shop and started viewing them as places where I get to shop! 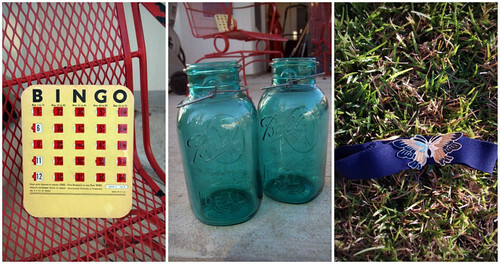 This weekend is Garage Sale Weekend in Austin! 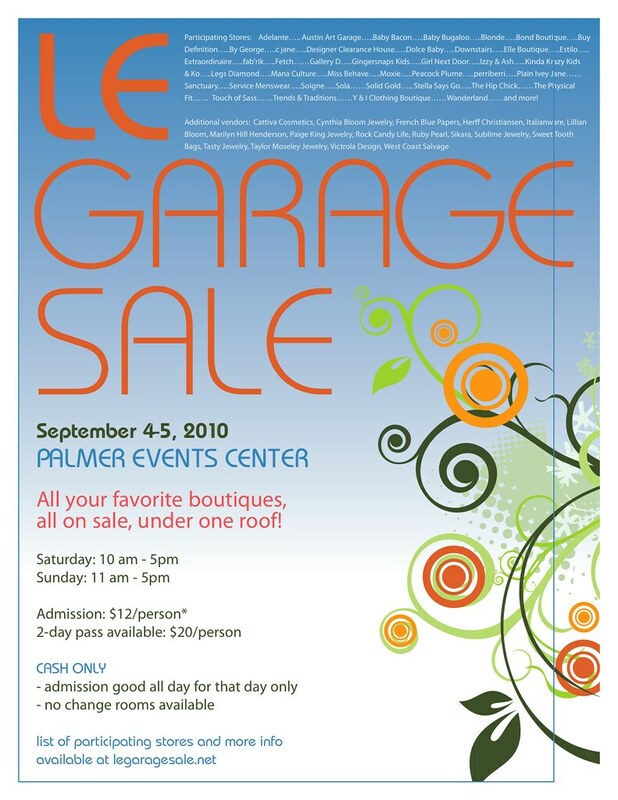 Two events are happening starting tomorrow at the Palmer Events Center, and I plan to be at both despite the 33 extra pounds I'm lugging around: Le Garage Sale is not a garage sale at all. More than fifty independent, local boutiques come in and set up pop-up shops under one roof. They offer new merchandise at rock bottom prices, and because this only happens twice/ year, the public is always crazy excited about it. There are no changing rooms, though, so it may be a good idea to wear a swimsuit so you can try on new goods! I have never been, but I'm going this weekend for sure. 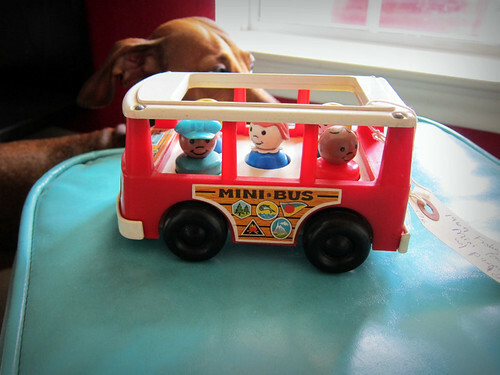 I'll even try to document the wonderfulness in a video blog! Entry fee is $12/ day at the door. I hear it's worth every penny! Hope to see you at Palmer this weekend! Check my Twitter to see where I am. I'd love to meet up with you!